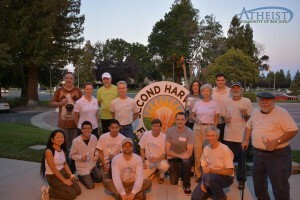 The ACSJ organizes and promotes participation in a variety of philanthropic activities, including blood donations, helping the homeless through food banks and direct donations, community clean-ups, helping teach science & critical thinking skills at local elementary schools, and working with national atheist/secular philanthropic organizations. 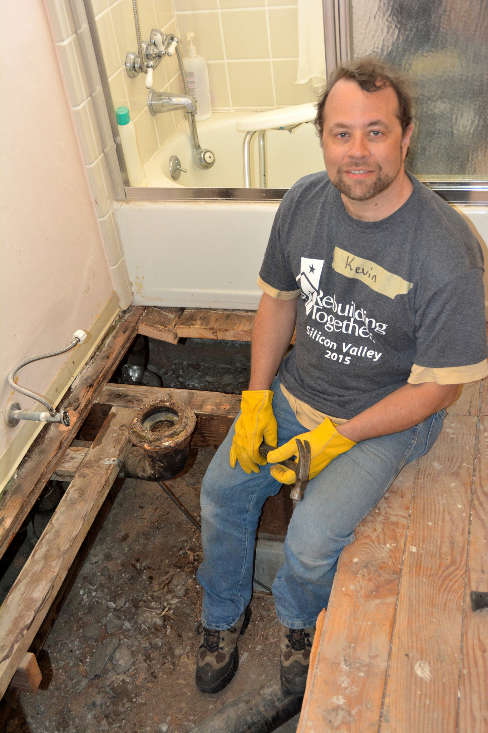 We encourage you to volunteer for as many of these activities as you can. These pages describe some of our accomplishments and on-going activities, and provide links to upcoming projects described on the ACSJ Meet-Up site. For more information visit: https://foundationbeyondbelief.org/bbn. 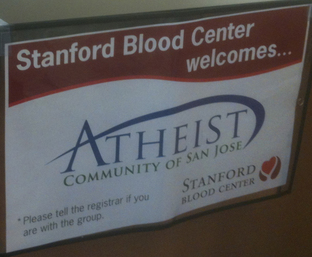 To volunteer, simply sign-up for one of the events posted on the ACSJ Meet-Up site (http://www.meetup.com/Atheist-Community-of-San-Jose/events/). Please donate through the ACSJ General Fund (http://sanjoseatheists.org/donate/). 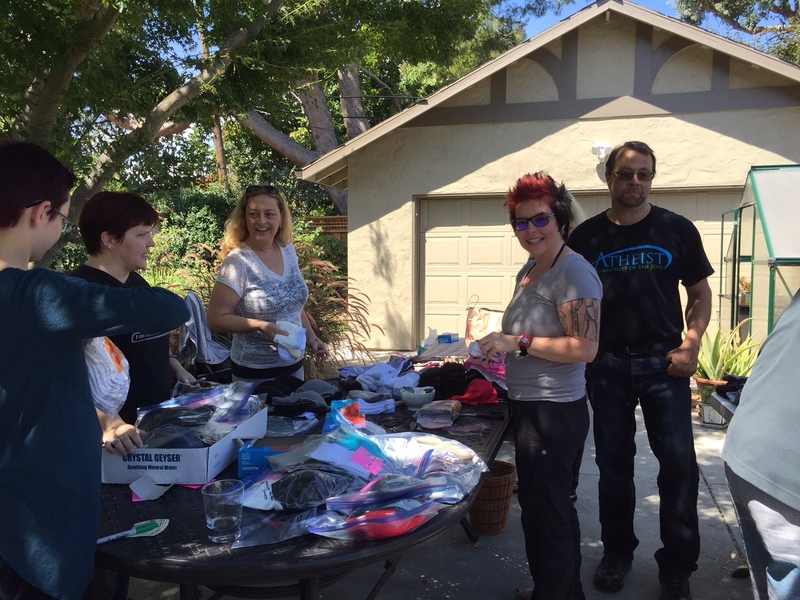 If you have questions or ideas for new philanthropic activities, please contact one of the current team members (Stephanie Hughes, Jim Laffer, Kobi Brown, Rick Thomas or Werner Haag) at a Meet-up event or regular Wednesday evening meeting, or e-mail us at philanthropy(at)sanjoseatheists(dot)org. 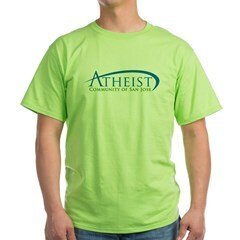 You can order ACSJ T-Shirts with the logo shown through the regular ACSJ Shop (http://www.cafepress.com/acsj/10252187). We encourage volunteers to wear these T-shirts, when it is appropriate for the venue, in order to help public awareness that atheists are concerned with the well-being of others. 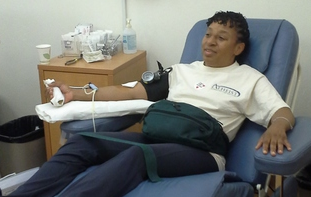 We donate blood every 8-9 weeks at the Stanford Blood Center. 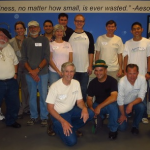 A growing effort for ACSJ is for projects that help the homeless in the San Jose area. 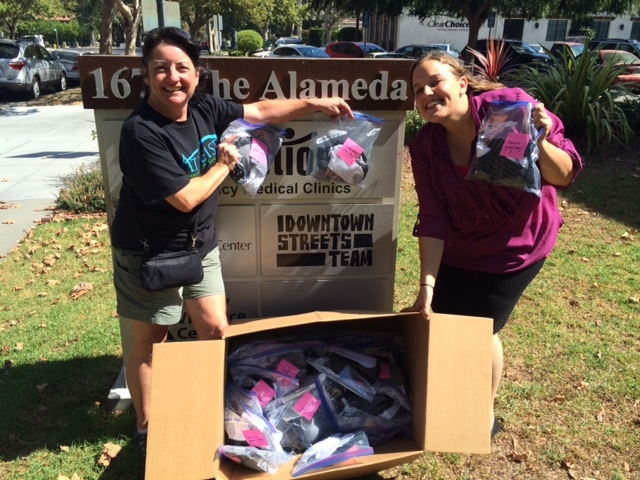 We work with groups such as Downtown Streets Team by contributing toiletry/food kits and providing services like job application assistance. Every month a dozen or so members help sort food at the 2nd Harvest Food Bank, which distributes the food to local soup kitchens. 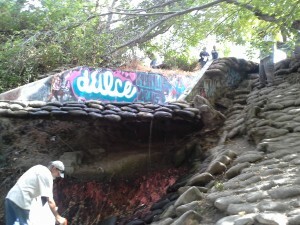 Every year we participate in a number of environmental services events, including River Clean-ups, Coastal Clean-ups, and maintenance at local parks, such as removing invasive plants. On a quarterly basis we help at Our City Forest with gardening sustainable food supplies for local charities and with park clean-ups. 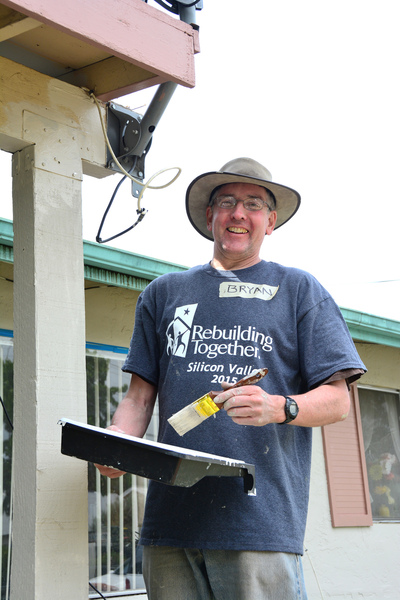 We help build and renovate housing for homeless and low-income people through secular organizations like Rebuilding Together – Silicon Valley (RTSV) and also religious groups like Habitat for Humanity. 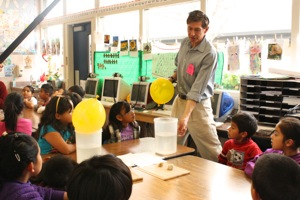 Several of our members volunteer with Science is Elementary, a Bay Area organization that brings science experiments to elementary school classrooms once a month and focuses on teaching critical thinking skills. 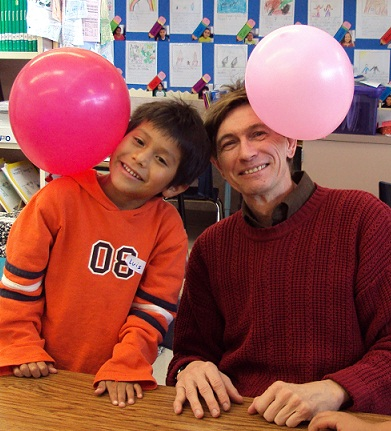 We also help at other events such as family Science Days at the San Jose Convention Center. In case you would like to make donations outside of ACSJ, we suggest the organizations below as worthy recipients. These groups are in line with a secular/atheist philosophy, and we believe them to give a use a high percentage of the funds directly for the services provided.